Cube Entertainment has been under fire for lots of reasons, but we diverge into the Top 10 scandals throughout Cube Entertainment’s history! Cube Entertainment was founded on August 29, 2006 by Hong SeungSung (aka Simon Hong, Papa Hong) and Shin JungHwa. Papa Hong had been a former president of JYP Entertainment, which led others to believe that Cube was a subsidiary of JYPE; however, it’s an independent corporation. Over the past 10 years, Cube Entertainment has produced excellent K-Pop groups such as 4Minute, BEAST, BtoB and more. With the transition in CEO power from Papa Hong to Park ChoongMin, Cube Entertainment has been the center of many issues ranging from internal factors to factors that may not have anything to do with the company. Either way, Cube Entertainment has been under the limelight for quite a while, and we give you to 10 most memorable scandals that delt with Cube and its artists. Just recently, news broke of internal conflicts between the company’s employees and the internal management divisions. Reports say that several employees have already resigned from their positions, and some have simply stopped all communications. It doesn’t help that Cube Entertainment’s largest shareholder, IHQ, had called a emergency board meeting only a couple days ago. Cube Entertainment’s business performance has been less than stellar for the past year, as their stocks had suffered continual losses. All of the current issues have resulted in the delay of Pentagon’s debut and HyunA‘s comeback. Fans blame the company for pouring expenses into CLC and other poorly planned projects that have failed to result in profit. One of Cube Entertainment’s pride and joy was their security team called, Captain Q. Captain Q’s leader had once caught the eye of Papa Hong, while he was just a beginning body guard. However, Papa Hong had reached out his hand to start a security program that respects and cares for Cube Entertainment’s fans. 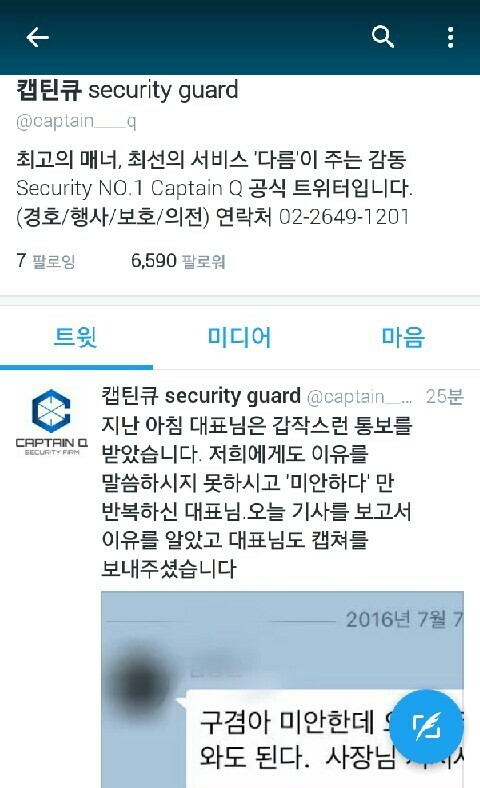 Cube artists’ fans have always raved about how considerate and kind the Captain Q guards were. Well, it appears that kindness will be hard to come by at the next Cube event. The newly appointed CEO (Park ChoongMin) had decided to lay off the long-time partners with a simple KaTalk (SMS chat). Park ChoongMin had left the Captain Q leader a short message relaying that their services will be no longer required. Fans suspect that Park ChoongMin is simply cutting off the branches that were most related to the past CEO, Papa Hong. Before HyunSeung officially left the group, he had been caught showing lack of interest in BEAST related activities. He would yawn during recordings, sit off to the side during performances and sometimes not even show up. After much bashing from Beautys and the public alike, HyunSeung had officially decided to leave the group. Cube referred differences in music tastes as the conflict reasoning between the boys, but then went on to clarify that there were also clashing on a personal level. Currently, the rest of BEAST and HyunSeung do not keep in contact. BEAST made their comeback as a 5 member group just this month, while HyunSeung is in plans to debut as a solo artists soon. Even so, some Beautys blame Cube for their lack of proper management between the boys. Although this incident had occured way back in 2012, it makes our list for causing such an issue at the time of occurance. BEAST had appeared on a TV show, where they interact with their fans out on the public streets. The MC had chosen one of the fans in the crowd for a lucky chance to personally interact with the idols. The lucky fan turned out to be a foreigner with a heavy stature. At the sight of the chosen fan, DooJoon turned away and made a less than appealing face. His apparent disrespect for the fan had the public up in arms. 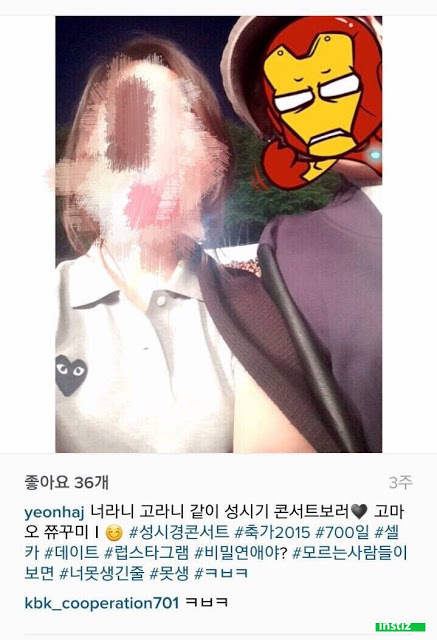 The netizens scolded DooJoon for making fun of a fan who had made the effort to come cheer him on. Others ridiculed him for judging the fan for her appearance, when his past visuals were not so perfect either. When news arose of G.NA‘s contract with Cube expiring, many fans wondered why Cube Entertainment wasn’t putting in more effort to hold onto the popular artist. However, just a few weeks later, news broke of a well known celebrity selling herself for prostitution. The netizens and news media soon linked the celebrity as G.NA. 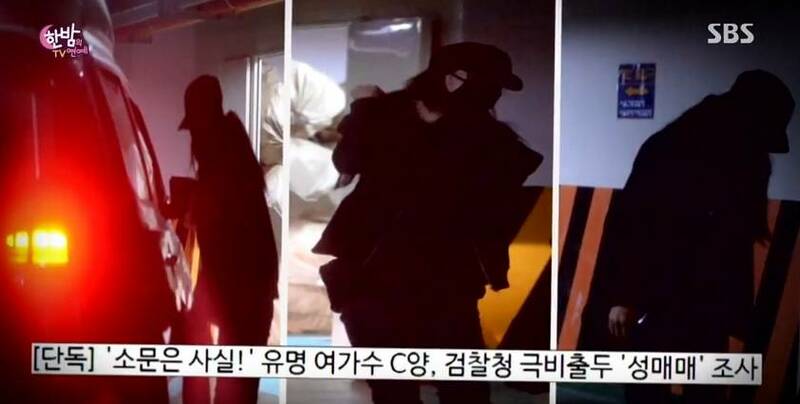 Although the singer was unaware that her actions were committed under the pretense of prostitution, the singer had no other option than to plead guilty. Netizens soon turned their fingers on Cube, saying that the agency lied about how their decision to not renew with G.NA had nothing to do with the scandal. This past month, Cube revealed that with the exemption of HyunA, the rest of the 4 members of 4Minute will not renew their contract with Cube. Although Cube phrased it as the girls deciding not to renew with the company for their different career choices, 4nias have another reason in mind. Some 4nias accused Cube of giving up on 4Minute, siting how their lack of proper care and management forced the girls to leave the company. The fact that only HyunA successfully renewed her contract with Cube brought up their past bully rumors. There were rumors about how Cube only favored HyunA, which led the other members to be cast in the dark. With the difference in treatment, the rumors stated that HyunA was an outcast among the group members. HongSeok’s scandal didn’t simply end with the Sung SiKyung error. 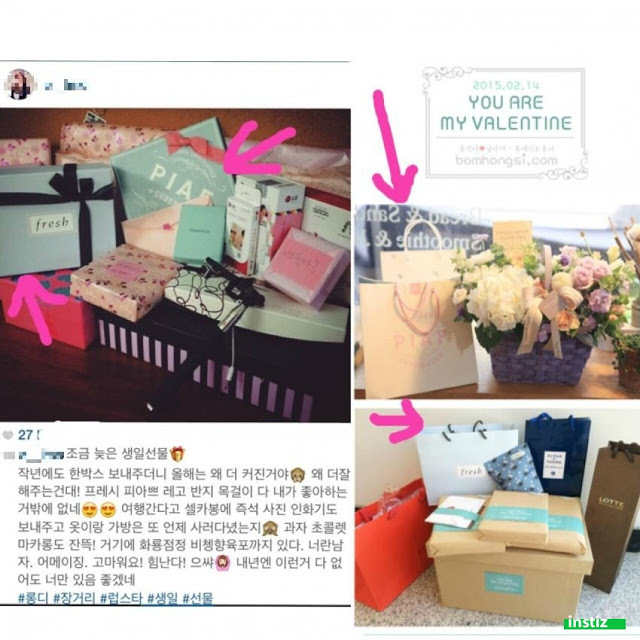 Fans have found through Instagram that HongSeok had been gifting his girlfriend and family presents that were much too similar to the gifts his fans gave him. Fans have concluded that HongSeok was re-gifting the presents from his fans to his peers. This angered the fans, because they had spent time and money to gift him with a piece of their earnesty. With the alleged re-gifting, the fans felt betrayed by their beloved oppa. BtoB had guested on a few episodes on CLC’s reality TV Show. On a particular episode, BtoB was giving pointers to their younger sisters about appearing on variety shows. When ChangSeob asked YeEun to show them a personal talent using a water bottle, the former (who is 7 years younger and 3 years his industry junior) informally said “No!” and pushed the water bottle right back to him. The BtoB artist was dumbfounded as the other members looked on at the surprising exchange. During IlHoon and YeEun’s rap battle, IlHoon had chosen to rap a verse from Outsider (who is known for his lightening speed raps) and YeEun had chosen to rap her part of CLC’s new song. When EunKwang pointed out that IlHoon was faster, SeungHee argued that YeEun’s rap was heard more clearly. The BtoB members had to explain that you’re not supposed to be able to heart it clearly if you rap like Outsider (especially 3x faster). The netizens pointed out how it was wrong of SeungHee to argue against their senior so bluntly, criticizing their skills. Although it may not seem like a big deal, but it had caused an uproar among the Beautys. When Cube Entertainment gave out free burgers during an ISAC event, the sticker on the bag had the names of ever other Cube artists except BEAST. As the first boy group under Cube Entertainment, BEAST would have been the logical choice to put on the sticker. 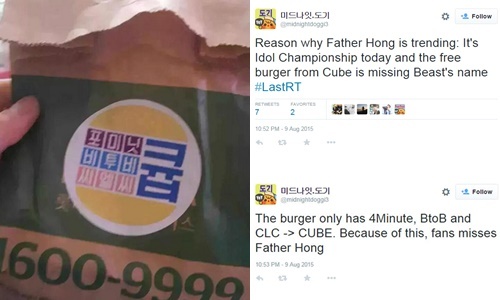 The Beautys were up in flames with Cube for leaving out BEAST on the sticker of their burger bags. K-Pop HyunA And PENTAGON’s E’Dawn Have Been Kicked Out of Cube Entertainment Admitted Their Romantic Relationship- Why Were They Axed From Their Entertainment Company?